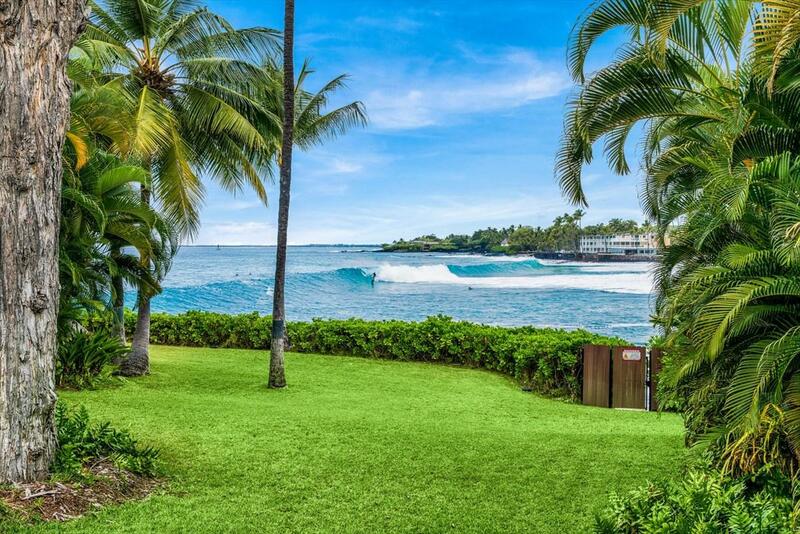 77-6516 Alii Dr, Kailua-Kona, HI 96740 (MLS #624704) :: Aloha Kona Realty, Inc.
Oceanfront Hale - The Best of Both Worlds - Modern Luxury with South Seas Ambiance - Second Home or Vacation RentalPremier Oceanfront Condominium - with 12 individual, stand alone homes in a private, gated enclave, set among luxurious tropical landscaping. The complex is next to thebest White Sand Beach in Kona. 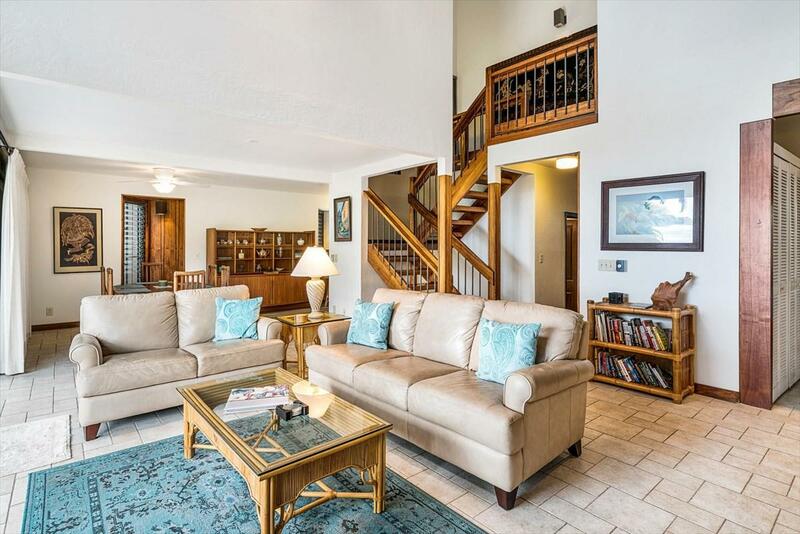 It is also close to Kahalu'u Snorkel Beach and a short drive to Kailua town or Keauhou, golf, restaurants and shopping.This is a beautiful Polynesian-Style 3Bed/2.5Bath hale with 3-story cathedral ceilings in the living room and cathedral ceilings in the upstairs bedrooms. 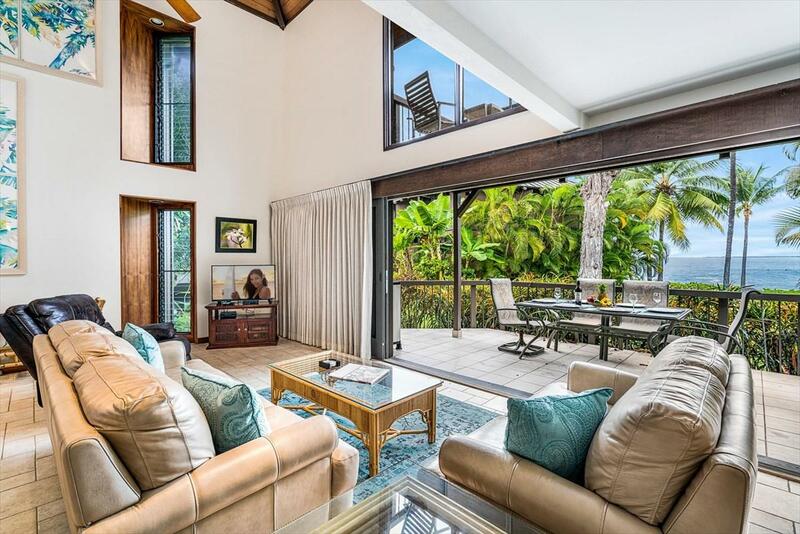 There are two ocean view lanais -one off the living area and one off the master suite - that offer unfettered views of the ocean surf.The main level has an open great room, dining room and kitchen and a den that serves as a 3rd bedroom, plus a 1/2 bath. Koa cabinets and Koa trim throughout. 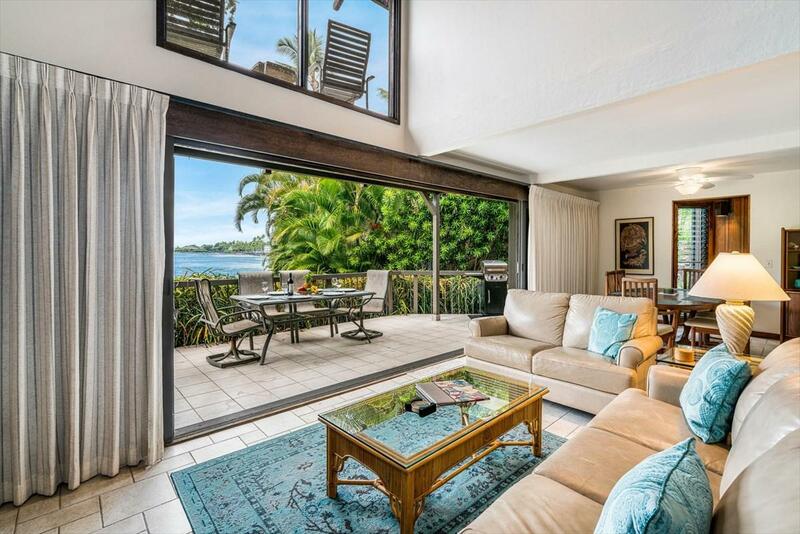 The home is alsodecorated with many works of art from local artists that are included, along with turnkey furnishings.There is an oceanfront pool and jetted spa at water's edge for your enjoyment and relaxation.